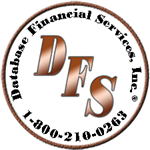 Database Financial Services, Inc. has been serving the retirement planning needs of municipal, state, county and federal employees since 1982. We offer retirement planning education that provides information regarding the Florida Retirement System, The Investment Plan and Local 175/185 Plans. Our localized Retirement Strategies Workshops are offered at no cost to the attendees or the sponsoring agency. We provide a no cost customized retirement program to fit the needs of pension plan participants when planning for their retirement.